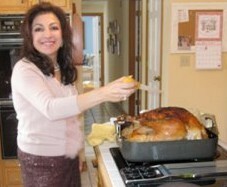 Growing up I was fortunate to have a wonderful cook for a mother. My mother is one of those intuitive cooks who effortlessly just knows how to marry spices for the most flavorful food. I learned how to cook watching my mother in her kitchen making her magic from cooking to baking. A solitary cook my favorite time to cook is when I am alone in my kitchen channelling my mother remembering my special time spent with her so long ago. 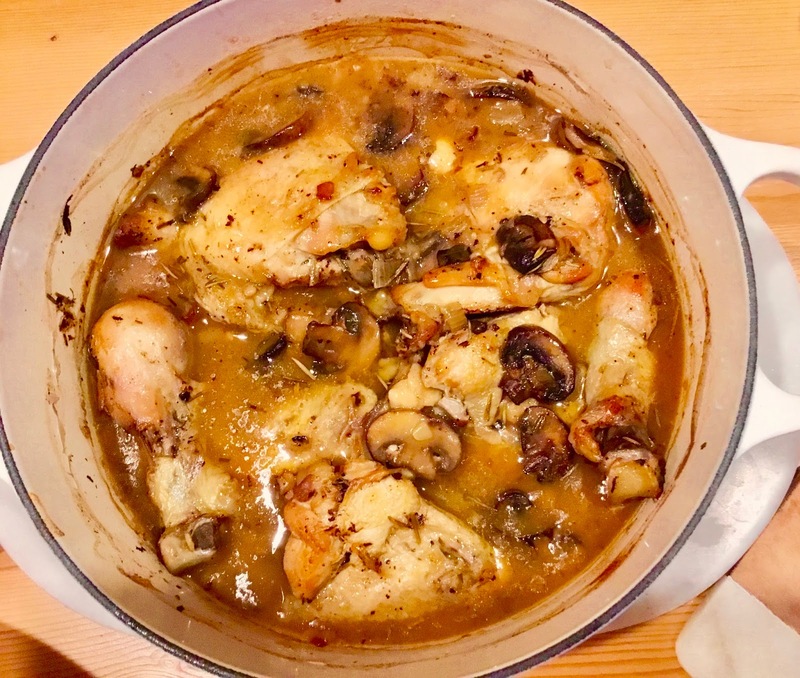 One my favorite chicken recipes from my mother is chicken paired wine and mushrooms. Chicken is very versatile capturing flavor from the ingredient you add. I especially like rosemary added to chicken releasing a flavorful aroma to the sauce. After cooking in the over for an hour and half the flavors are perfectly combine with the chicken so tender breaking away from the bone. Preheat oven to 350F. Heat oil in pan. Brown chicken in large sautéing pan or frying pan about 10 minutes on each side. Remove as pieces brown placing on a paper towel cover plate. Drain oil from pan leaving just one tablespoon. Add shallot and garlic sautéing until translucent do not brown. Add mushrooms cooking for another 5 minutes. Place chicken in dutch over, top with shallot, garlic and mushrooms. Sprinkle with rosemary, salt and pepper. Set aside why making sauce. In sautéing pan add flour to drippings cooking to combine for a few minutes. Add wine and chicken broth bringing to a boil. Lower heat simmer until thick. Remove from heat pour over sauce over Chicken. Bake for 1hour and 30 minutes. I like to serve over 1 lb. fettuccine tossed with olive oil or you can try egg noddles, rice, couscous. Saves 4-6.